Tender little scalloped shaped lemon cakes coated with a tart lemon glaze. A beautiful French dessert that’s actually easy to make. The theme for this month’s progressive dinner is the flavors of France. I signed up to bring dessert and had a really hard time deciding which French dessert to bring. French desserts are so easy to love. I finally choose madeleines because I’ve never made them before. Madeleines have been on my list to bake for a long time. 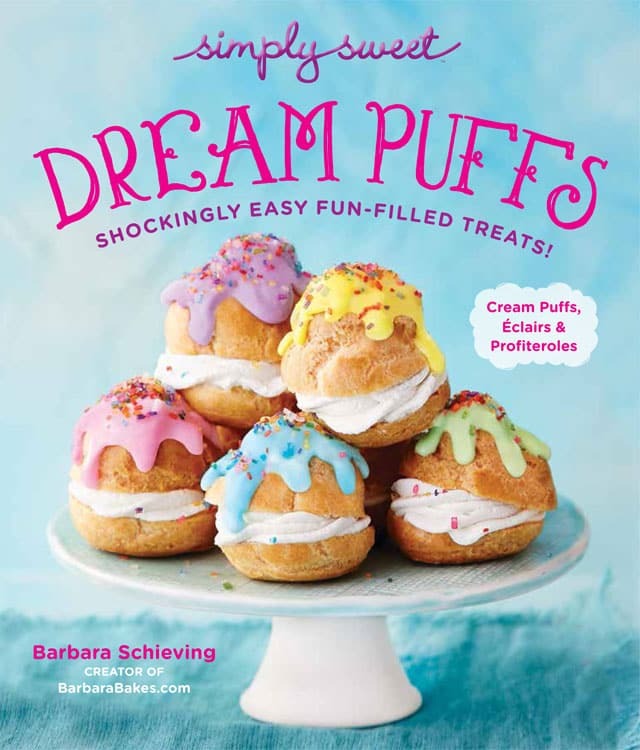 Becky, Vintage Mixer, posted several times about how much she loves these little scalloped shaped cakes. 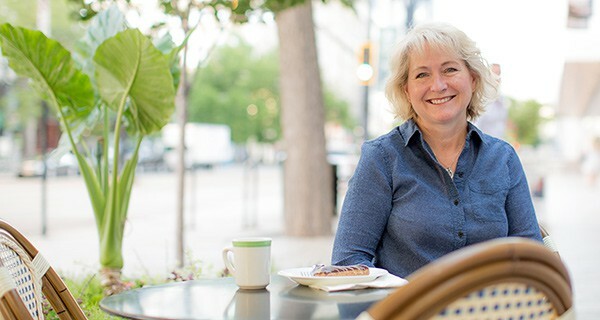 She’s posted several flavors, including her Utah Honey Madeleines that looked lovely. 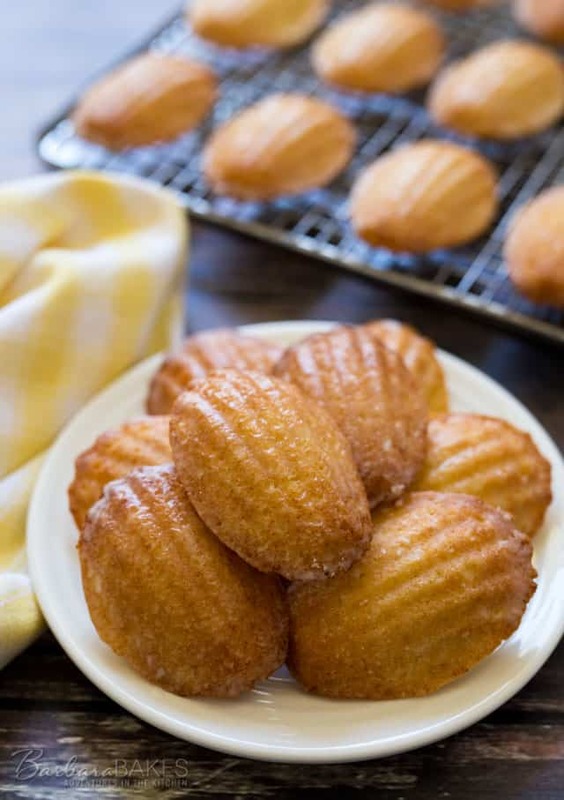 Since I’m crazy about lemon desserts, David Lebovitz’s lemon-glazed madeleines also really appealed to me. So I decided to combined what I liked about David’s recipe with what I liked about Becky’s recipe to create my lemon glazed madeleines. from Amazon, because David Lebovitz said “The trusty non-stick ones that I have now are much easier to use and the little devils just slide right out.” Mine just slid right out too. I did spray them with a little non-stick cooking spray with flour as well. was the perfect amount of batter and you don’t even need to bother spreading the batter in the pan. The batter spreads out nicely all by itself as it’s baked. I’m always a little hesitant to buy a specialty pan that only has one use, but I’m so glad I bought my madeleine pans. I fell in love with these lemon glazed madeleines. They were easy to make, looked fancy, and were light, tender and delicious. A perfect ending to most meals, or you could do like I did and snack on them all day long. Whisk together flour and baking powder in a medium bowl and set aside. 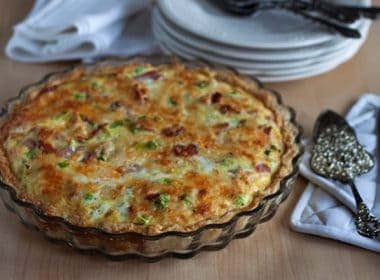 Use an electric mixer with a whisk attachment, on medium-high speed beat together the eggs and sugar until the mixture is thicken and pale in color, about 5 minutes. Beat in lemon zest. Use a rubber spatula to gently fold the flour mixture into the egg mixture just until blended. Fold in the cooled butter and mix just until blended. Cover the batter and refrigerate for about 1 hour or until completely chilled. Preheat the oven to 375°. Put a rack in the top third of the oven. 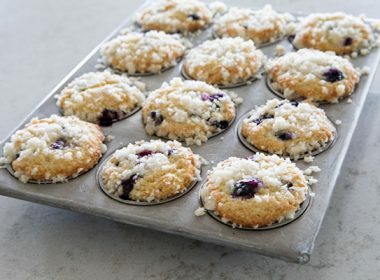 Spray the madeleine cups with non-stick baking spray with flour. 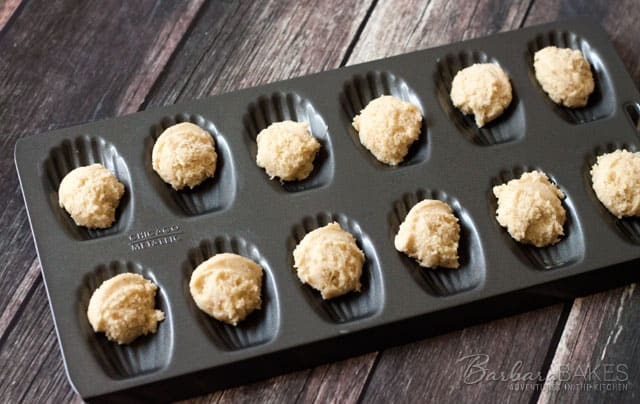 Use a #40 cookie scoop to spoon batter 1 tablespoon batter into the molds. Bake for about 10 - 12 minutes until the edges are golden brown and middle is set. 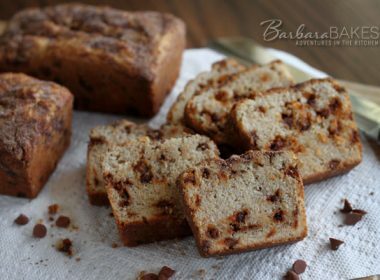 Transfer the pan to a cooling rack for 5 minutes before unmolding the cakes onto a cooling rack. 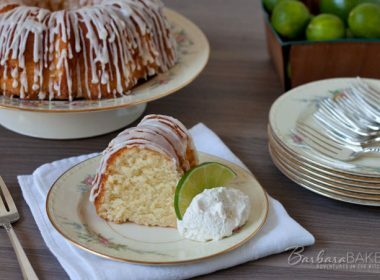 While the cakes are cooling, make the lemon glaze in a mixing bowl by whisking together the powdered sugar and lemon juice until smooth. Dip the scalloped side of the cake in the glaze, letting excess drip back in to the bowl. After dipping, put each one back on the cooking rack, scalloped side up to cool. 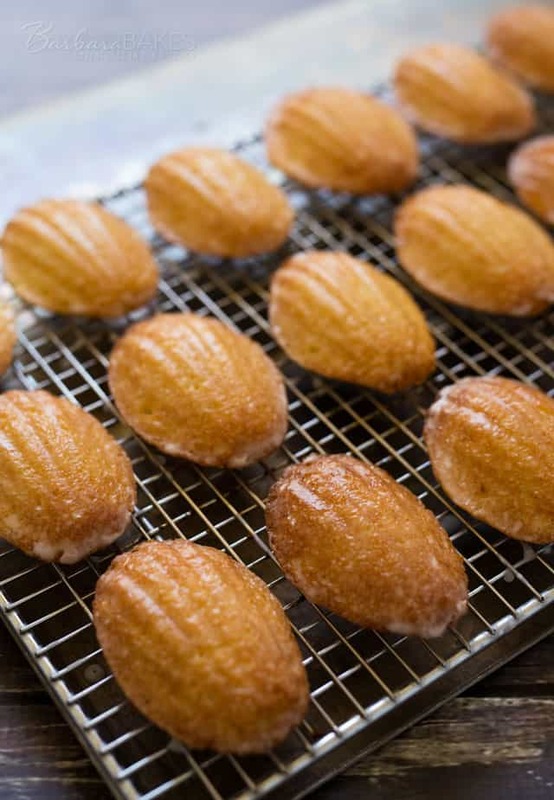 Move the madeleines around on the rack a little bit occasionally until they’re cool so they don’t stick to the rack. 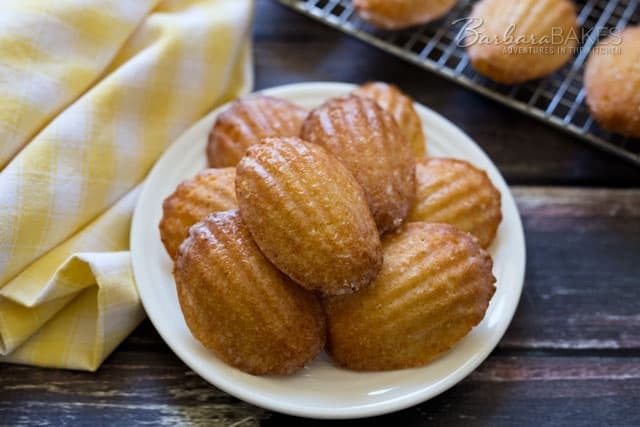 We love madeleines and I have a recipe I’ve used for years, but I tossed that recipe when I tried this one. 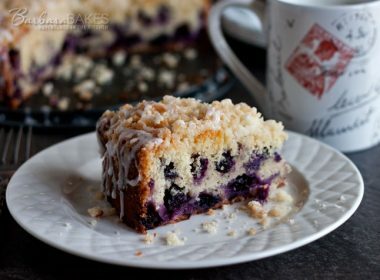 These cakes are so light and tender and they keep well too if there should happen to be any left. Thanks for sharing, Barbara. I’m putting another one of your recipes into my recipe box. What a great compliment! Thanks so much Cathy!